This recipe comes from Savory Salty Sweet, a wonderful blog that has really opened up my eyes to many new food concepts, including this dish, Smoke Salmon Canapes on Potato Crisps and many others. I suggest you explore her website as well as this Iranian/Middle Eastern dish. 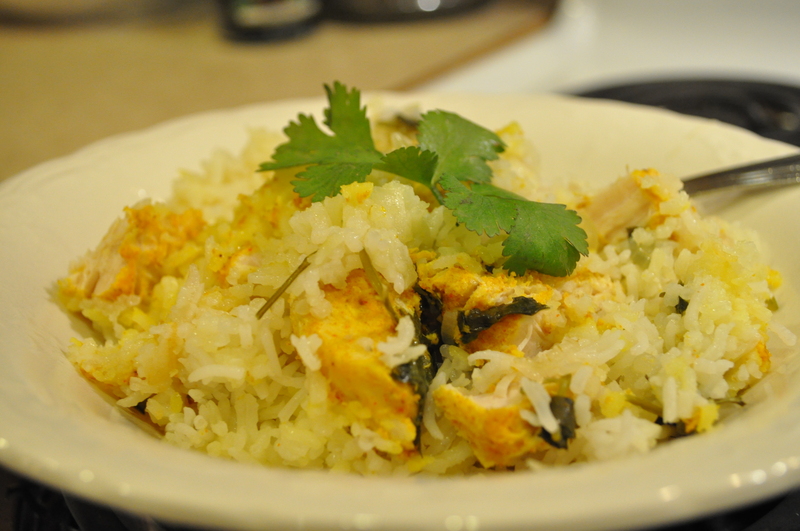 I had never heard of biryani but Savory Salty Sweet’s glowing endorsement of it made me long to recreate it. She warned that it was time intensive but I did not find it too much so. It certainly is not a “30 minute meal” but it has many hours of hands off time. During that hands off time, I made a key lime pie (recipe to be posted soon) and another Spiced Applesauce Cake for a friend. There is nothing better than a rainy afternoon spent in the kitchen. Rinse the chicken, then chop into 1-inch cubes. In a large bowl, combine the grated garlic and ginger, then mash together using the back of a spoon. Add the chicken cubes to the bowl with the garlic and ginger. Add the coriander, cayenne, turmeric, garam masala, yogurt, and 1 teaspoon of the salt. Stir to mix until everything is combined, then cover with plastic wrap and allow to marinate in the refrigerator for 2 to 4 hours. While the chicken is marinating, rinse the rice in several changes of cold water. Place in a bowl, cover with water, and allow to soak for about half an hour. About 1 ½ hours before you want to serve the dish, place a rack in the center of the oven and preheat to 375 degrees Fahrenheit. Slice the onions as fine as possible. You will want about 3 cups of sliced onions. Place a large heavy ovenproof pot with a tight-fitting lid over medium-high heat. Add the oil and, when it is hot, add the onions. Lower the heat to medium. Cook until the onions are very soft, wilted, and just touched with golden brown. Lift the onions out of the hot oil and set aside. There should be a littler over ¼ of oil left in the pot. Remove 2 tablespoons of oil from the pot and set aside for later. Place the heavy pot containing the oil over medium-high heat. Distribute half of the chicken pieces over the bottom of the pot, then sprinkle on half the precooked rice. Scatter half the cooked onions over the top, then sprinkle on half of the cilantro leaves. Repeat with the remaining chicken, rice, onion, and cilantro. Sprinkle on about 2 tablespoons of water, and drizzle on the reserved 2 tablespoons of oil. Lay a sheet of aluminum foil over the top of the pot to cover it completely, then top with the lid. Transfer the pot to the oven and bake for 1 hour. Carefully remove the lid and the aluminum foil (the pot will emit a great deal of steam, so stand back and be careful to steer clear of the hot cloud). Remove the biryani to a platter. 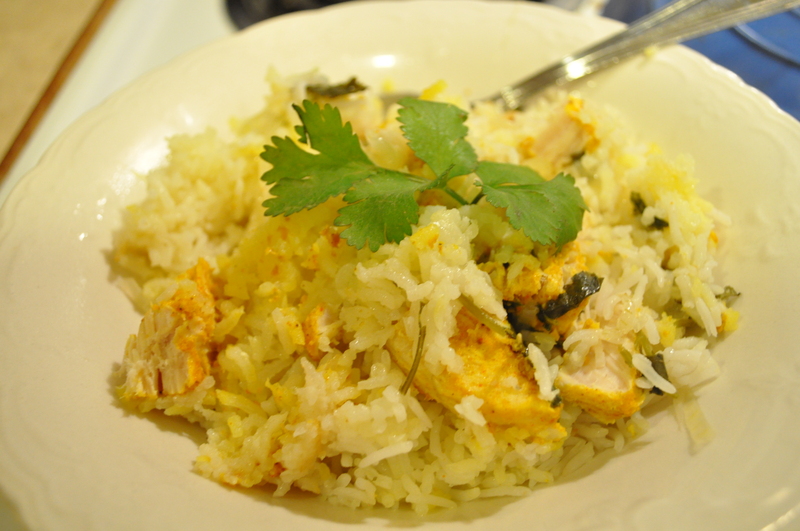 Scrape out the crusty layer of chicken and rice from the bottom of the pot, and lay it on top of the biryani. Serve hot or warm. Serves 6. Combine together and use to create wonderful things! I want to try this and those canapes. Looks just wonderful! I just happily stumbled upon your blog. I love being introduced to new things and I have never heard of biryani before. This recipe sounds delicious to me. Thanks for sharing. 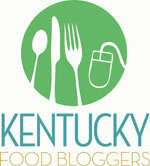 How did you find my blog? I am pleased that you did and even more happy that you like the recipe. I suggest you try it, maybe even double to yogurt marinade if you like you foods with more gravy/sauce. I loved it too. But I think it needs more sauce. So next time I make it, I may increase some of the ingredients. But even without doing that, it is still awesome.